Celebrated from the 13th to the 19th of March every year, the Fallas are giant creations of styrofoam, wood and paper mache, created in honor of St. Joseph, patron of all carpenters. They are built by an ensemble of Valencia's competing clubs. 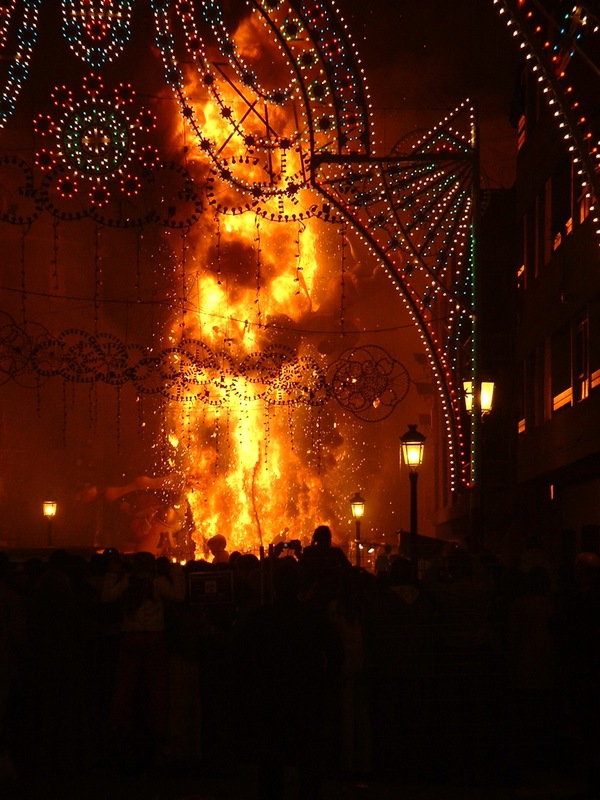 The Fallas represent a huge investment of money and personnel during a whole year. 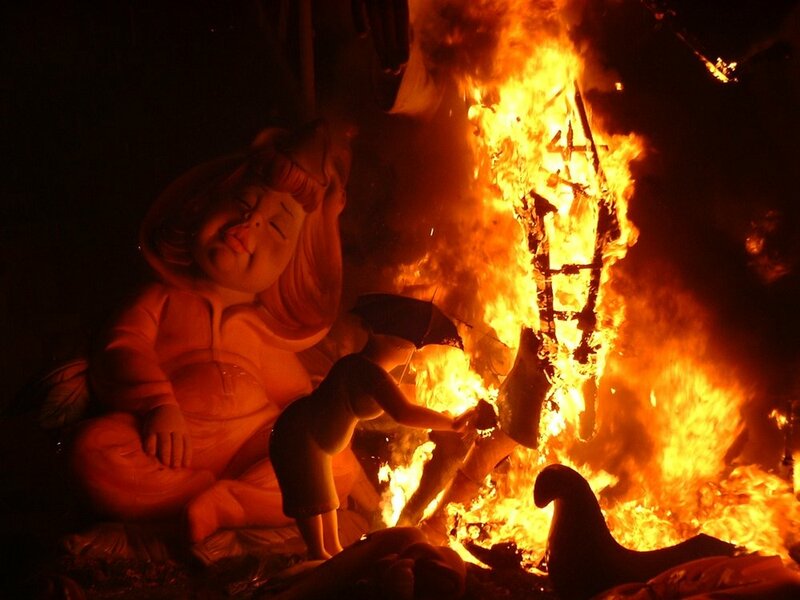 The creations are burned to the ground on the last night of the festival in huge bonfires. 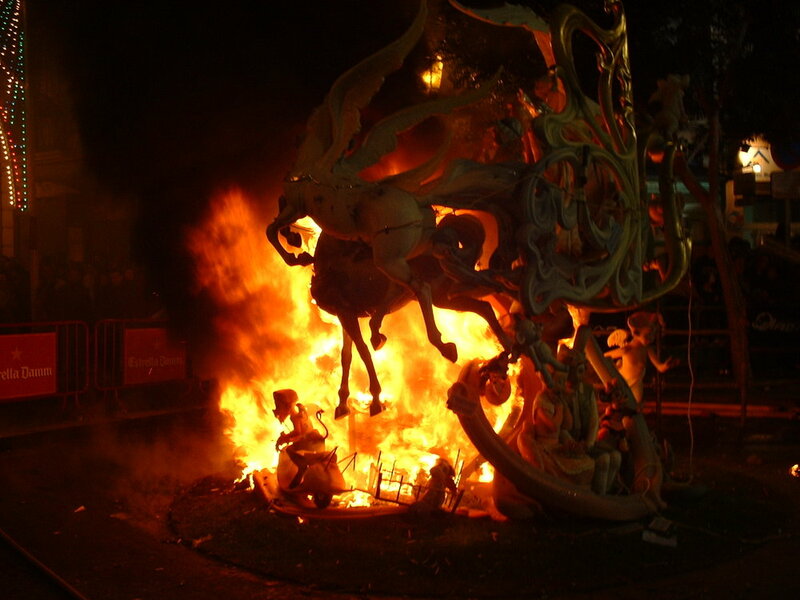 This act of faith and pyromania brings tears to the women and evokes strong emotions from the men. The whole town of Valencia participates with a week long celebration of parades, bands, firework displays and the daily Mascaleta. The Mascleta is a long tradition of the loudest kind. The event takes place every day at 2pm in the city hall square. It features firework artists competing on who can be the best "noise maker" by creating a symphony of sound. All is done to the applause of the adoring Valencians. 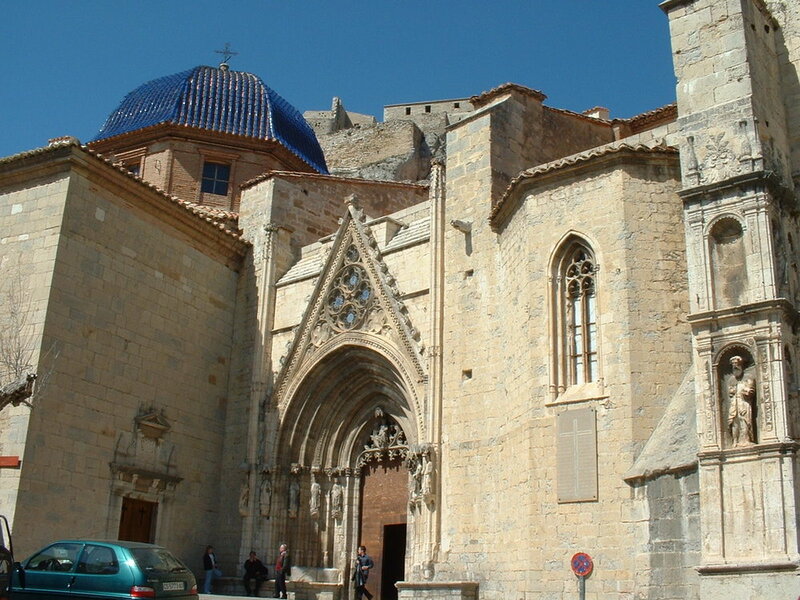 The Festivals program travels to the mountainous region of Castillon and the scenic hill town of Morella, famous for honey, sausages, and Black Truffles. 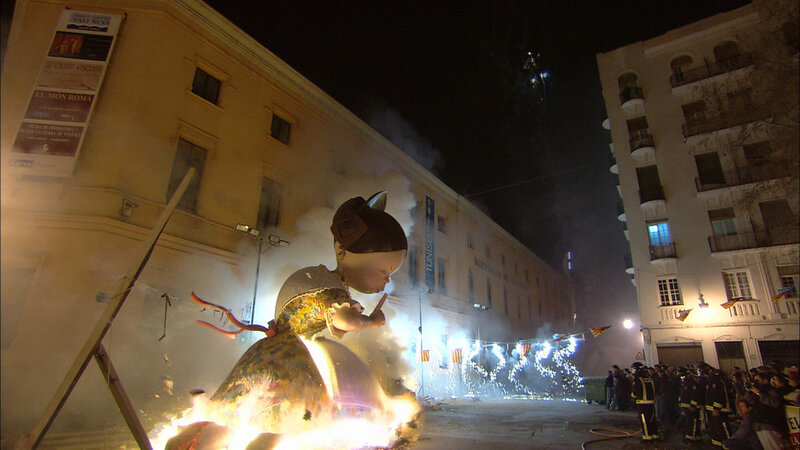 We meet a weaver who uses 300-year-old traditional machines to create the beautiful garments worn in the Fallas Festival. In Valencia we we film the Cathedral where the Holy Grail is supposedly located. On the opposite end we visit "The City of Arts and Sciences" aquarium for some up close and personal looks at marine life. Producer Sigal Bujman visits a famous Paella restaurant, La Matandeta, on the edge of Lake Albufara where she learns from a master Paella chef. 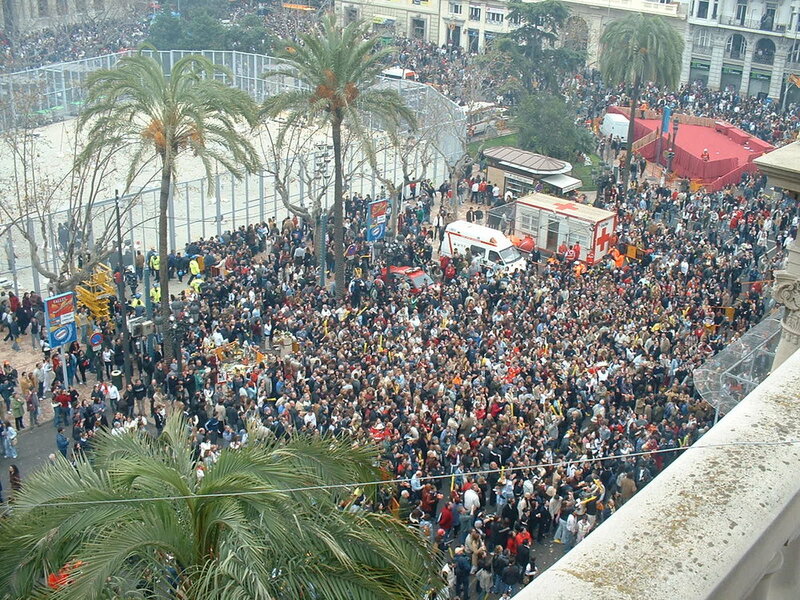 Valencia is famous for it's Bodegas and Bodega Montana is one of them, tapas and wine fuel the festival goers. Orchateria Daniel is one of Valencia's favorite spots for Churros and Orchata. 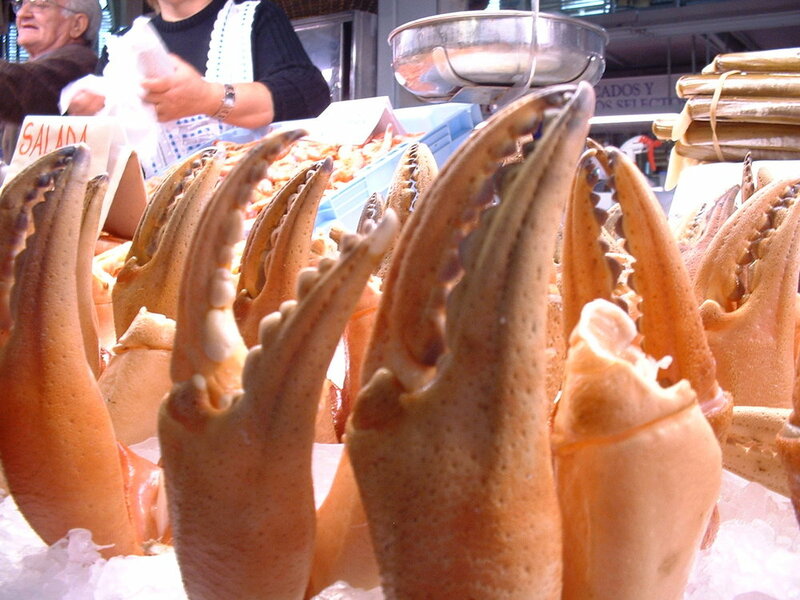 At the Mertcado Central, the main market, Festivals Producer Sigal Bujman is accompanied by Pilar, a flamboyant Valencian who guides her through the maze of stalls where all the ingredients to the most famous dishes of Valencia can be found. 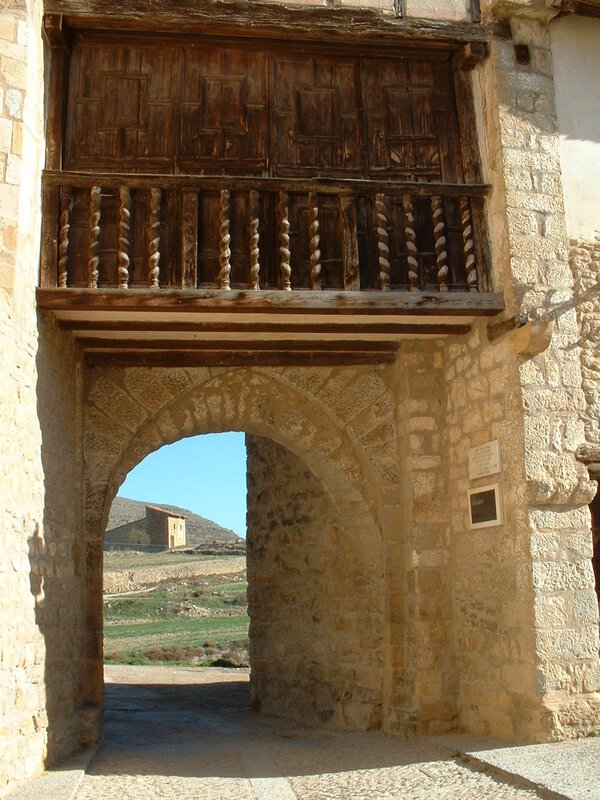 In the fortified town of Morella, the chef at "El Mason Del Pastor" introduces Sigal to Black Truffles and brandy, a lethal combination.